highlights Kepler's efforts to stay ahead of the changing retail landscape. Read full article HERE. June 2017: Kepler's completes the spin-off of nonprofit Kepler's Literary Foundation. Read press coverage in our press release, the Menlo Park Almanac, San Jose Mercury News, InMenlo, and Shelf Awareness. May 2017: Facebook selects Kepler's to join its 2017 US Small Business Council. Read full article HERE. January 2017: Kepler's becomes the first community bookstore in the US to offer a starting wage of $15 per hour. October 2016: Kepler's re-invention featured in Stanford Social Innovation Review. Read full article HERE. June 2, 2016: Kepler’s GiftLit Service Extends Reach, Ramps Up Sales. Read the press release HERE. May 24, 2016: Kepler’s GiftLit Service Wins National Recognition for Innovative Use of Technology. Read the press release HERE. 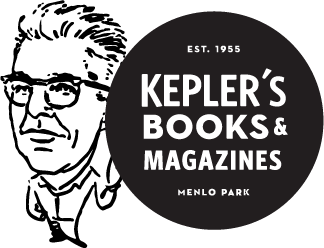 April 2016: Kepler's Sustainability Award gets great press in the Almanac, Mercury News, Mercury News 2, InMenlo, Shelf Awareness, and ABA's Bookselling This Week. Click here for a short video produced by Sustainable San Mateo County about Kepler's. Summer 2015: A thriving Kepler's scores numerous "best of" awards and accolades from San Francisco Magazine, the Almanac, JWeekly, San Francisco Chronicle 1, and San Francisco Chronicle 2.